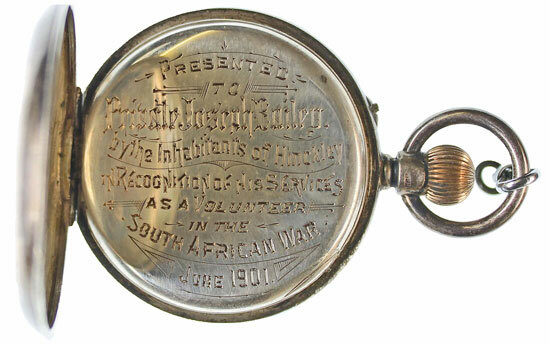 A rare Boer War silver tribute pocket watch is offered in our 21st February 2018 medal and militaria auction with an estimate of £250. It is offered with its Services Sports Watches box of issue. Hinckley is in Leicestershire so the recipient is almost certainly to have been serving with the local Yeomanry or the Leicestershire Regiment. 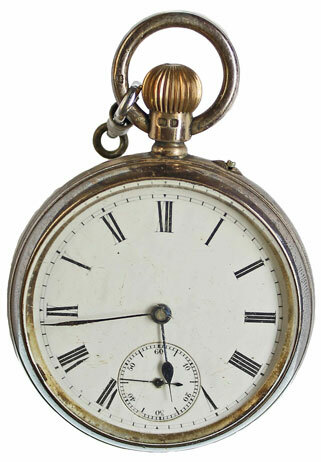 Boer War tribute medals and watches have seen a surge in interest from collectors in recent years. In 1901 Hinckley had a population of just over 11,000 and is not listed as having issued a tribute medal, so this is a very rare survivor.